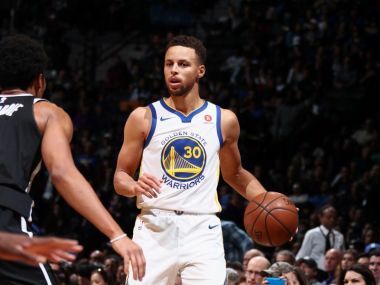 Stephen Curry scored a season-high 39 points, grabbed 11 rebounds and passed out seven assists before fouling out Sunday as the defending NBA champion Golden State Warriors won 118-111 at Brooklyn. 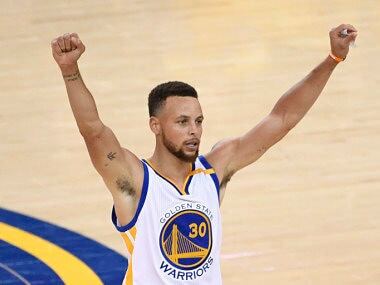 The Warriors defeated the Cavaliers in five games to win the title, capping a brilliant 15-1 post-season run. 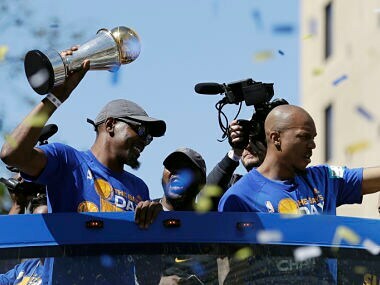 It was the second parade in three seasons for the Warriors. 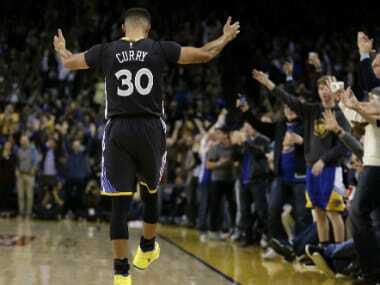 Curry's comment came two days after Golden State defeated Cleveland 129-120 to clinch the title. 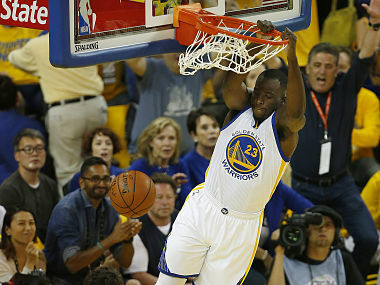 Golden State Warriors took the best-of-seven series 4-1, reclaiming the throne they lost to the Cavaliers a year ago. Green was banned from game five last year after he struck Cleveland star LeBron James in the groin in game four and Cavaliers subsequently won the Championship in game 7. 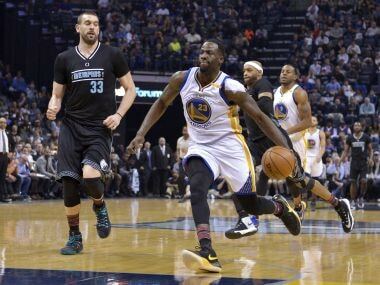 Draymond Green produced an unprecedented triple-double of 12 rebounds, 10 assists and 10 steals as the Golden State Warriors mauled the Grizzlies 122-107 in Memphis. 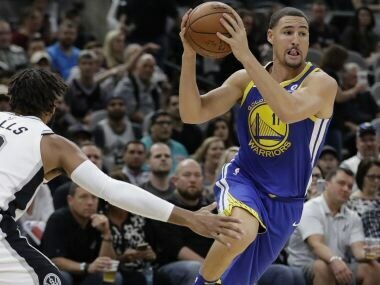 NBA: Can the Golden State Warriors hold on to their 'super team' with 3 big stars? 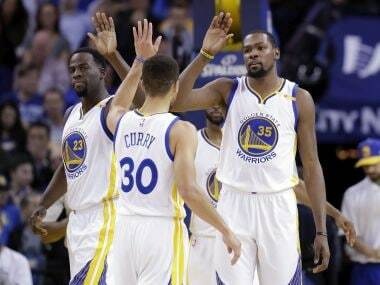 For the past two years, the Golden State Warriors have won an incredible 72 games each. That’s dazzling by any yard of measurement. 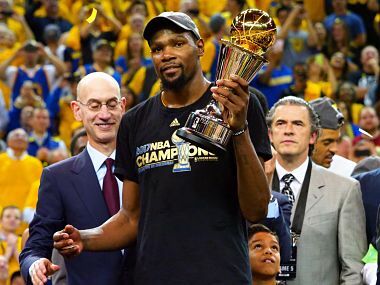 Which begs the question – did the Golden State Warriors really need Kevin Durant?